Our customer was constructing a new home for a big occupier… an elephant! There had been much national coverage with regards to this particular elephant as it owners had rescued it from a previous cruel existence. As the new home was in the middle of a major visitor attraction site, the owners wanted to make a big visual point surrounding the new development. 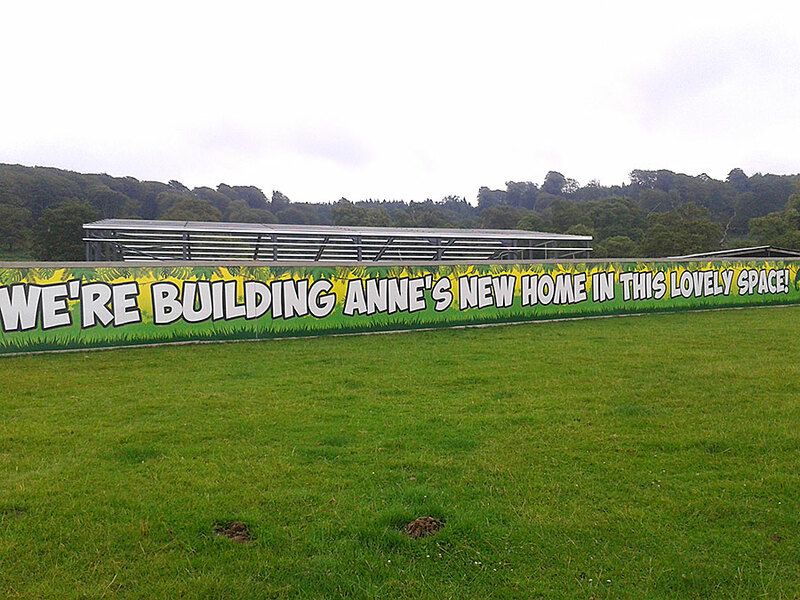 This hoarding was constructed using direct printed aluminium panels that used 35 sheets (8ft x 4ft’) of aluminium composite material covering a total area of nearly 1000sq ft. Our fitters were on site to install the direct printed aluminium panels onto pre-constructed plyboard framing. Working in the middle of a safari park surrounded by animals more usually found on the plains of Africa isn’t an everyday experience, but thankfully all work was completed without incident.